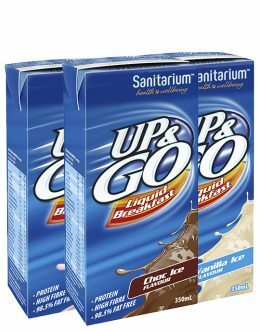 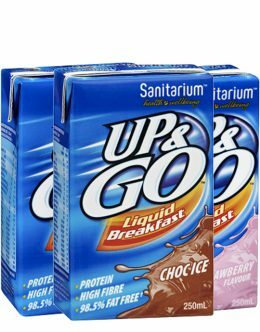 Up&Go liquid breakfast has the protein, energy and fibre of 4 Weet-Bix and a cup of milk in every 500ml serve, offering you a nutritious start to the day. 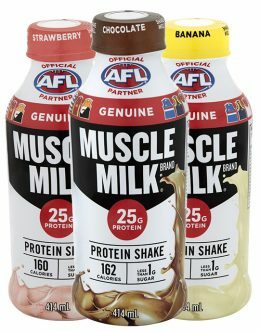 It contains 10 essential vitamins and minerals, and is 98.5% fat free. 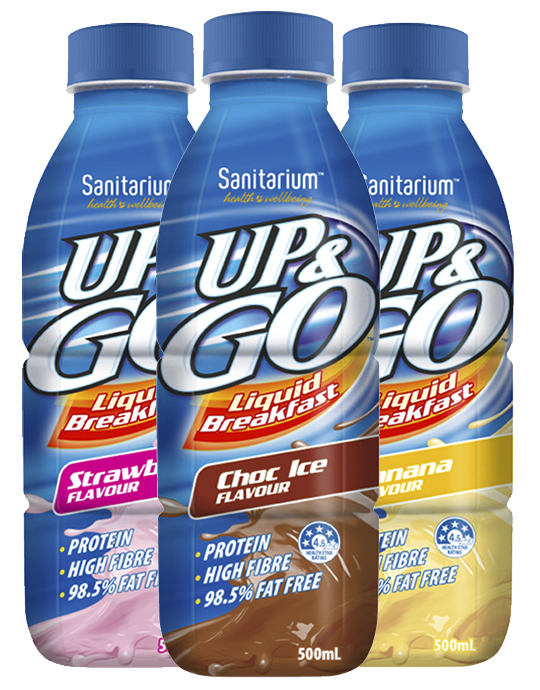 A great breakfast option for when you are on the go.